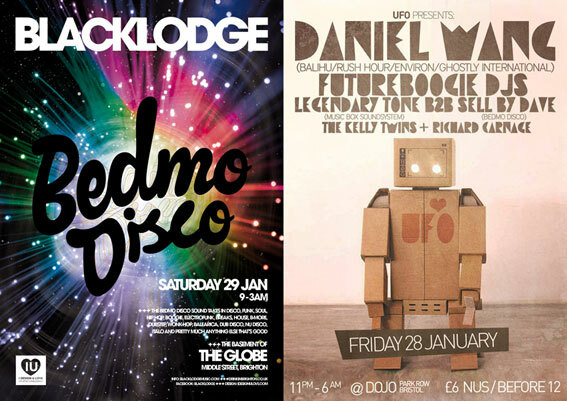 Here at Bedmo Disco HQ, we’re very excited about the coming weekend. We’ll be out and about as usual, spinning records at two parties – one an extra-special UFO event at Dojo in our hometown of Bristol, and one down in Brighton. The latter will mark our debut in the legendary seaside town. So what’s in store? 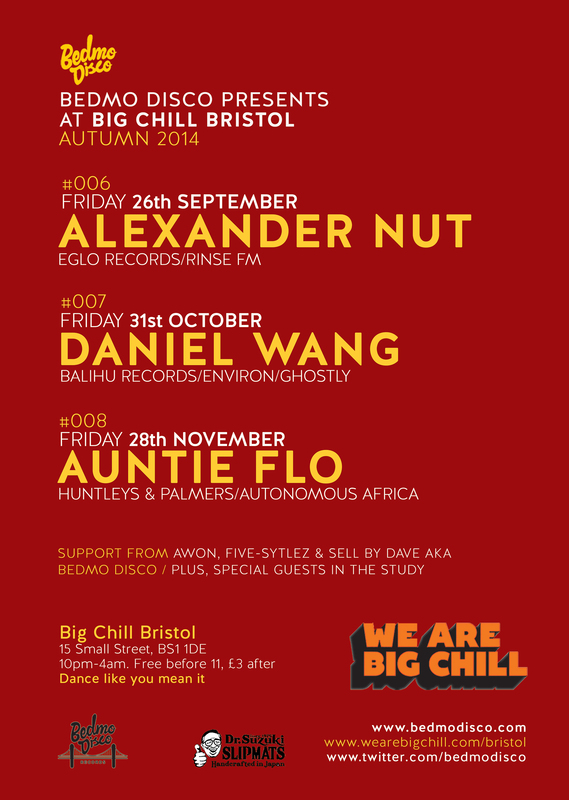 We start with UFO at Dojo in Bristol on Friday 28th January, where the one and only DANIEL WANG will be headlining. We were lucky to spend some time with Daniel over the summer, and he’s a top man and a fantastic DJ. He’s never been to Bristol before, let alone played his brand of goodtime disco, so it promises to be an extra-special evening. Local globe-trotting party-starters FUTUREBOOGIE lead the supporting cast. Our own Sell By Dave will be joining good friend and killer disco digger LEGENDARY TONE for the warm-up slot. You can catch the two of them warming up for Daniel from 12.30am. The next day – Saturday 29th January – we’ll be hauling ourselves down to Brighton for a bit of a shindig down in the basement of The Globe. We’re guesting at Rob ‘Alphabet City’ Fahey‘s regular Blacklodge night. It’s always great to meet new people and play to different crowds, and this promises to be a belter. We know a fair few people in Brighton, so it should be a great party. If you’re down that neck of the woods and fancy a good night out, head down! This weekend promises to be fantastic, but it’s just the start. In coming months you can expect to see Bedmo Disco out and about round the UK and, later in the year, Europe too. It promises to be a great year!